Successfully Added USB Powered Paper Shredder - Hand Held Design to your Shopping Cart. 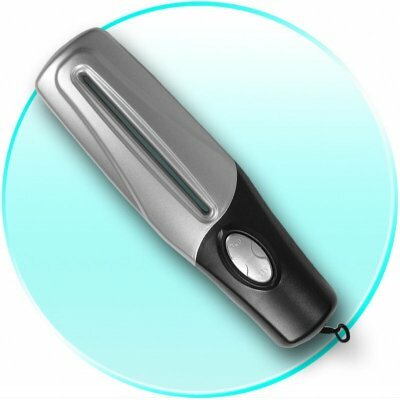 Cool USB powered Paper Shredder in a easy to use hand held wand design. This USB Gadget will make sure to keep all your confidential documents safe by shredding them into small slivers, and this device can easily be stored next to your computer, ready to shred any documents that you print. It also has a forward / reverse slide shredding button, just in case you get a jam. Keep yourself, and your documents safe with Chinavasion's Handheld USB Shredder, made in China and available at a low wholesale price.. Lip size: 120mm - For paper wider than 120mm, simply fold the paper in half. Do not shred more than one sheet at a time.